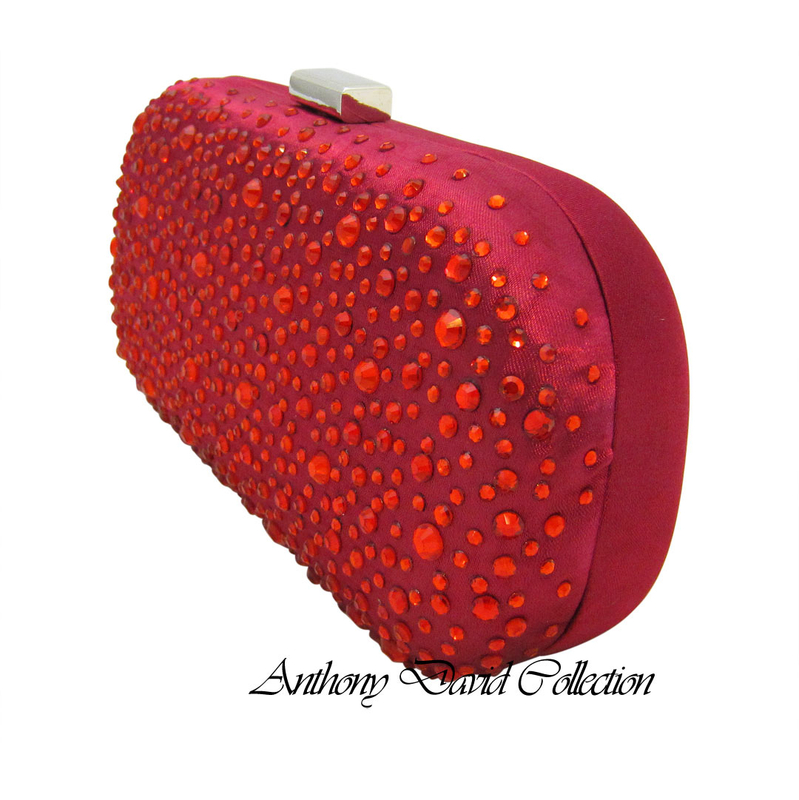 This Anthony David fuchsia pink satin evening bag has a hard frame and is encrusted with various sizes of crystals. Carry this handbag as a clutch, top handle, or wear it as a shoulder bag with the silver metal shoulder chain. Do not miss our collection of Anthony David Crystal Gift Accessories with Swarovski Crystals. The front of the bag is covered in crystals. Highest quality plush fuchsia pink satin. 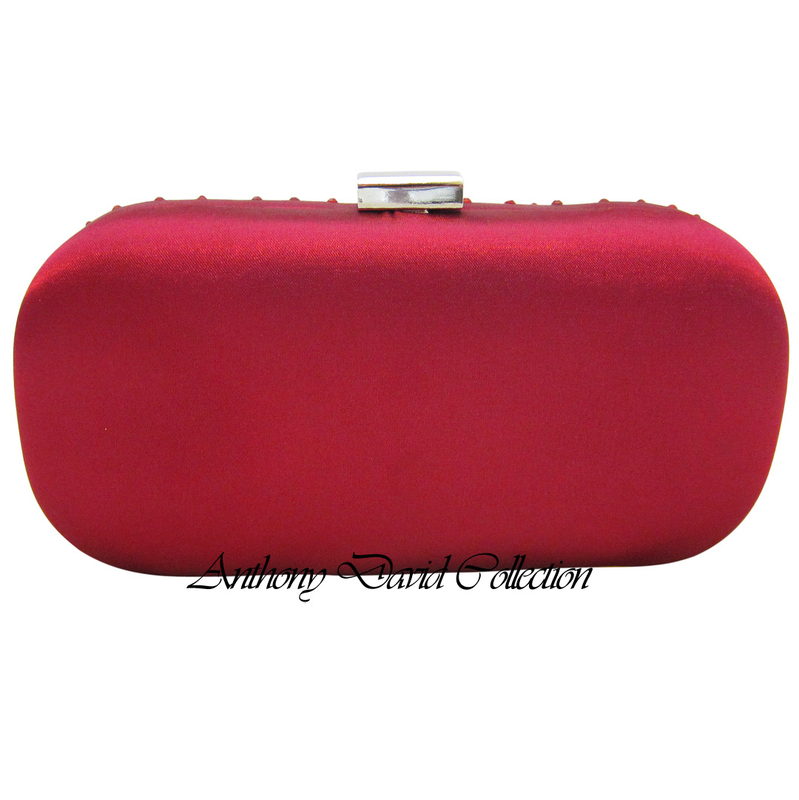 This crystal evening bag comes in other colors.